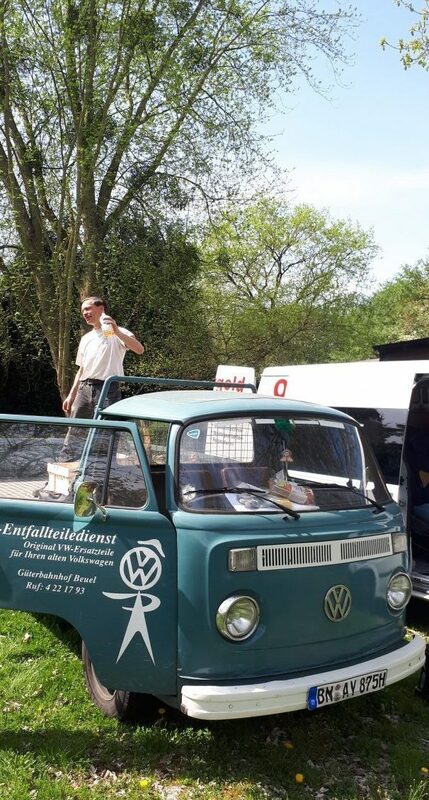 spring finally arrived, it´s time to go outside and dig in the ground for VW-parts! Contraire! I am serious (this time…). To explain my weird spring activity let´s have a view back in the Samba´s history. It was a Saturday in May 2017 when my phone rung while I was doing some boring bookkeeping in the office. A local customer of mine, Werner, was on the phone. He drives a ´59 firetruck bus and what he told me on the phone was the start of the whole Samba project. 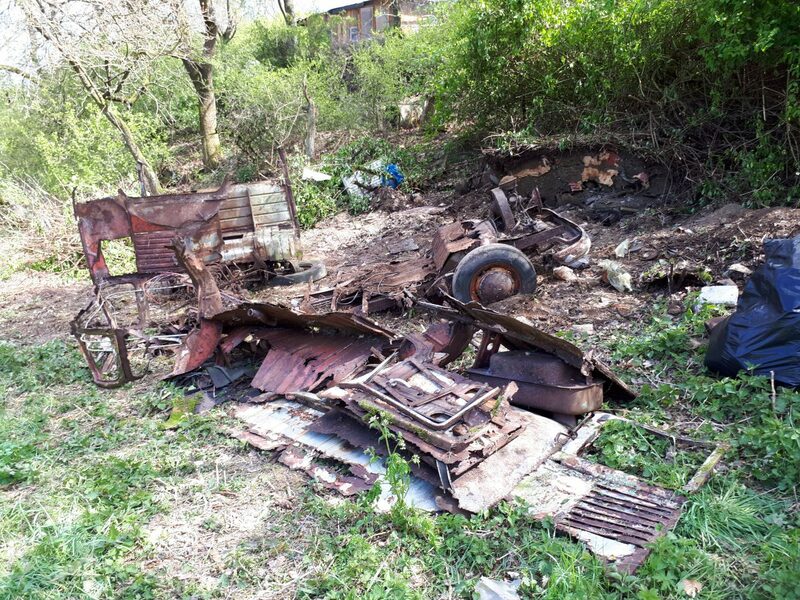 In the afternoon I was owner of a ´51 Samba wreck. 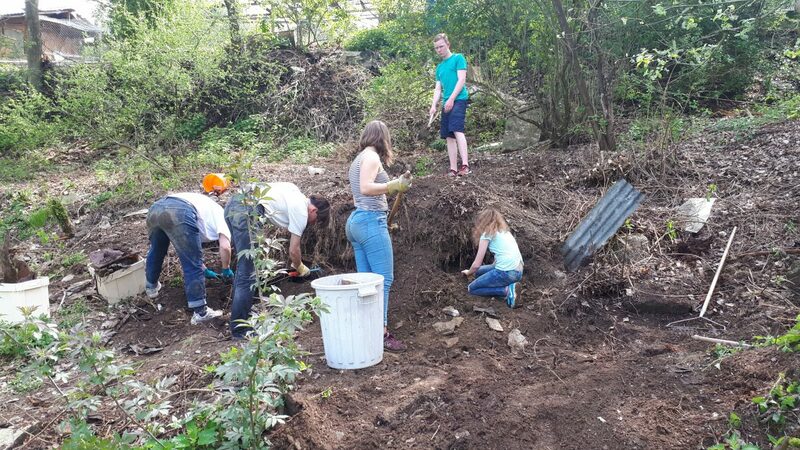 Please see here some picture of how Werner and his family dig out the wreck. After removing the first bushes and trees they found a lot of parts of the Samba just sticking in the mud around the Bus. Have a close look on the picture: do you see the windows? All of them but one corner window were there and they were not smashed! All the sky windows were there too! 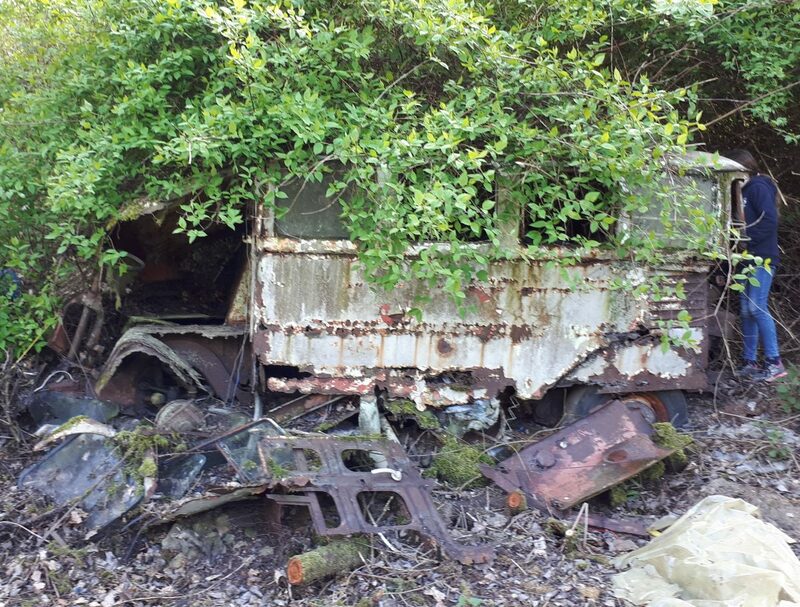 Sure during the removal of the bushes and trees Werner didn´t know it was a 1951 Bus, they hadn´t found the ID-plate yet. 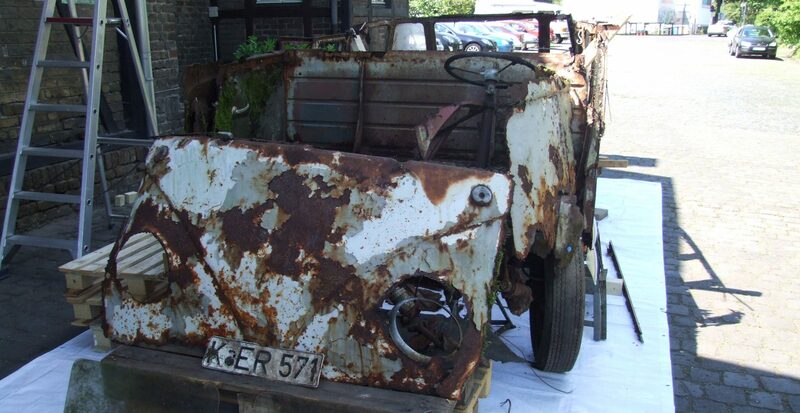 So for them it was just an old and very junky Bus, there wasn´t even one thought of the possibility to restore this piece of rust. The only value they saw was in some parts. Who wants to blam him for that? OK, the real Barndoor expert could have known when finding the decklid that this must be something pre December 1952. 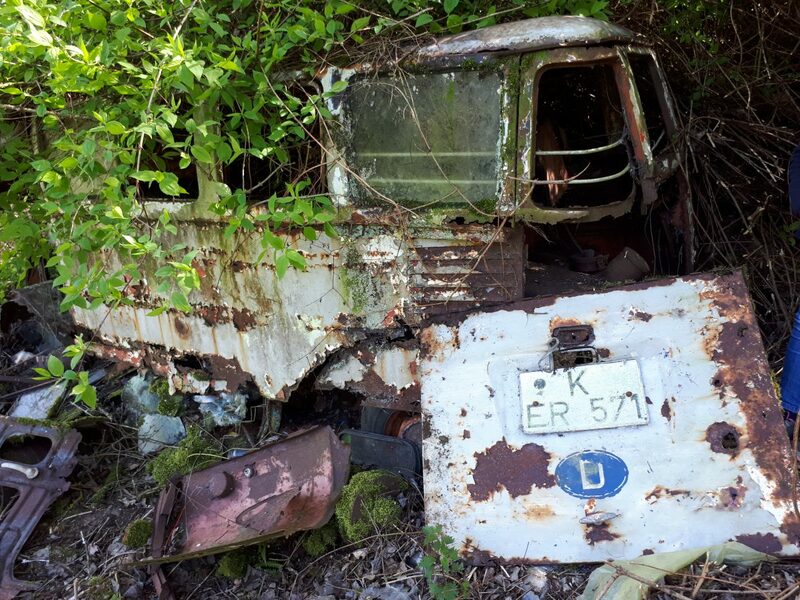 But even if you would have known that, still this wouldn´t had made you thinking that this Samba must be saved to get it back on the road, would it? Still here there is no hint that this here is a real piece of history. 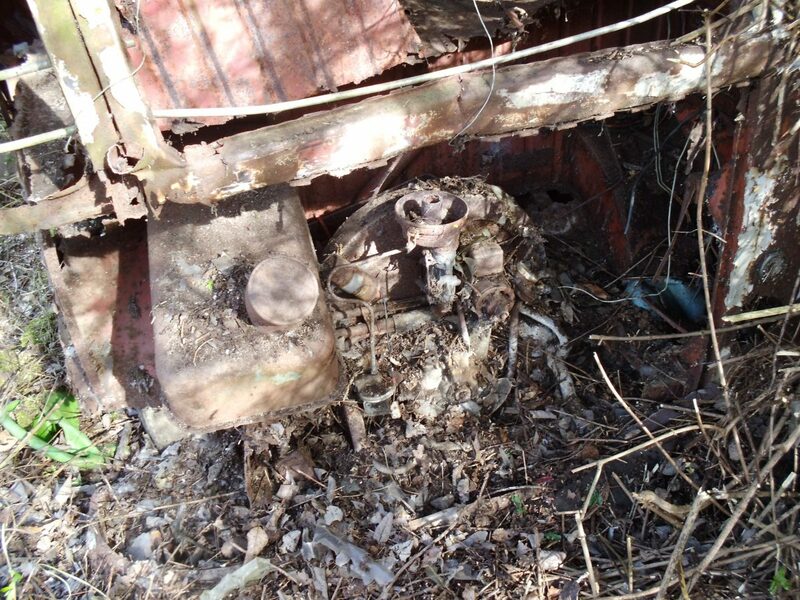 The engine compartment section with the chassis number still stuck in the mud and the place of the ID-plate is empty. 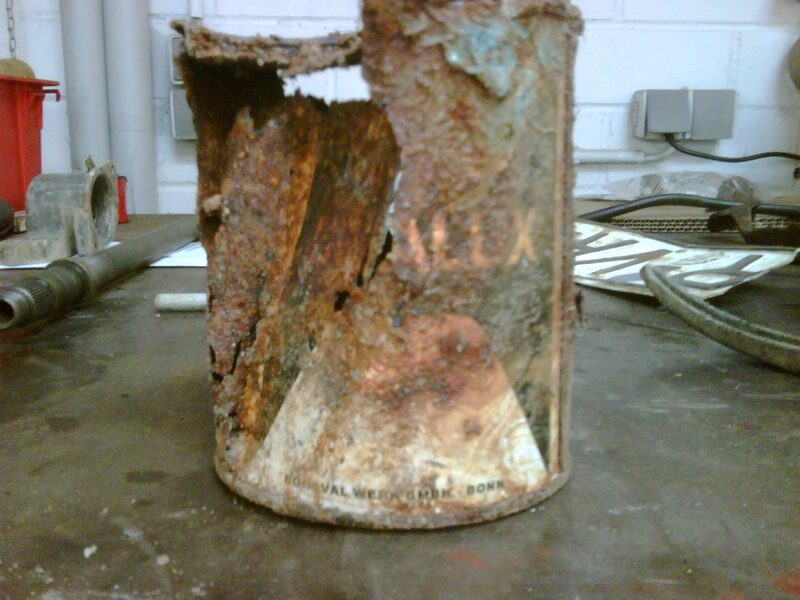 Sometime decades ago it fell off cause of rust and stuck also down in the mud. This picture really hurts! But remember, Werner and his family were careful enough to pick up whatever they found at least. How many others would have trashed the entire thing right away? The moment that changed everything: Werner found the ID-plate down in the mud and gave me a call: “Florian, I found something…..” This is where the whole story of the Samba´s second life begun. 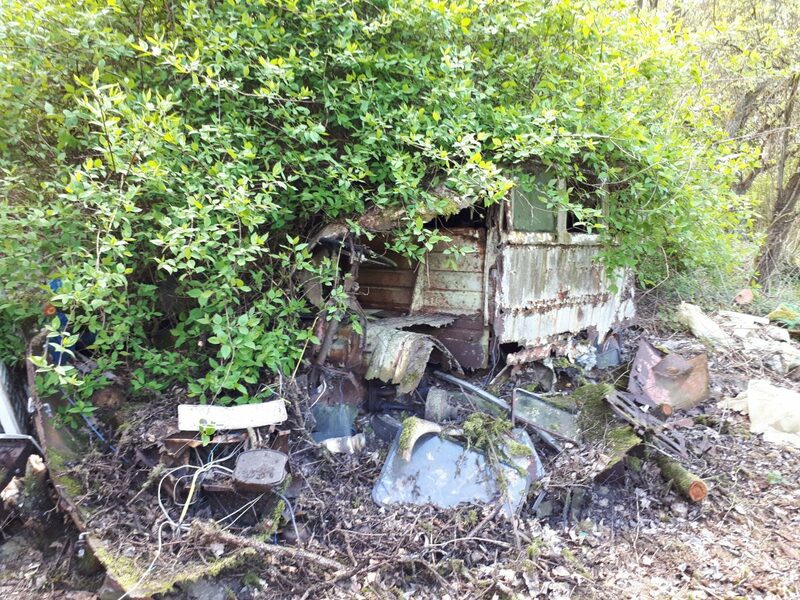 The whole winter I was thinking of going to the place where Werner dig out the Samba to search the ground for parts that might still sticking in the mud. The last weekend was sunny enough to start this adventure. Werner and his entire family were kind enough not only showing me the way to the place, but also helped a lot. It was big fun to search the ground as you can see in the following pictures. Best of all: we really found something. Not so much of the Samba, but other stuff. Just have a look. 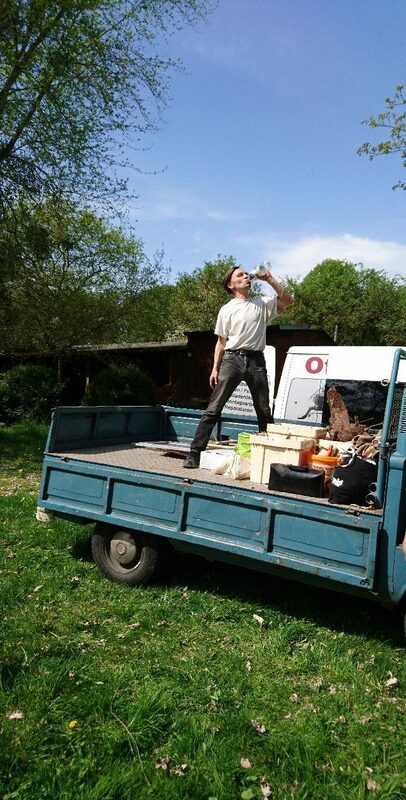 Arriving in the Eifel: unloading the digging equipment of the `79 pickup, taking a good sip and let´s start the adventure. 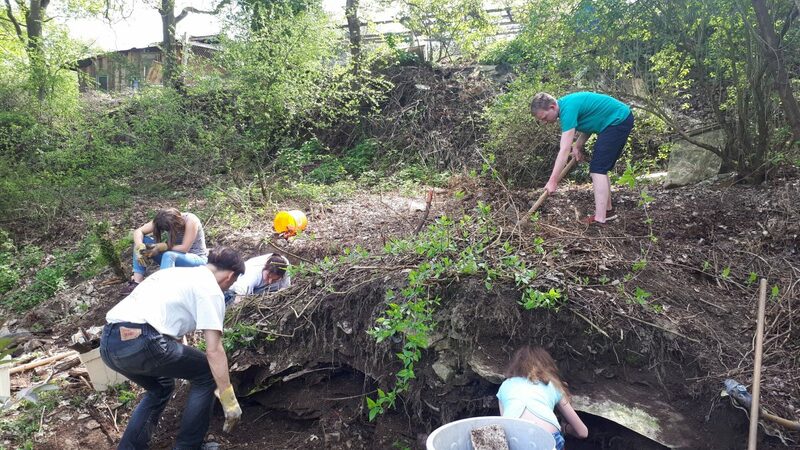 We all dig carefully and there were lots and lots of stuff in the ground: hundreds of bottles, cans, a tire, a wheelbarrow, cooking and coffee pots, three casseroles, cutlery, a mattress….. Somebody must have lived in the Samba! 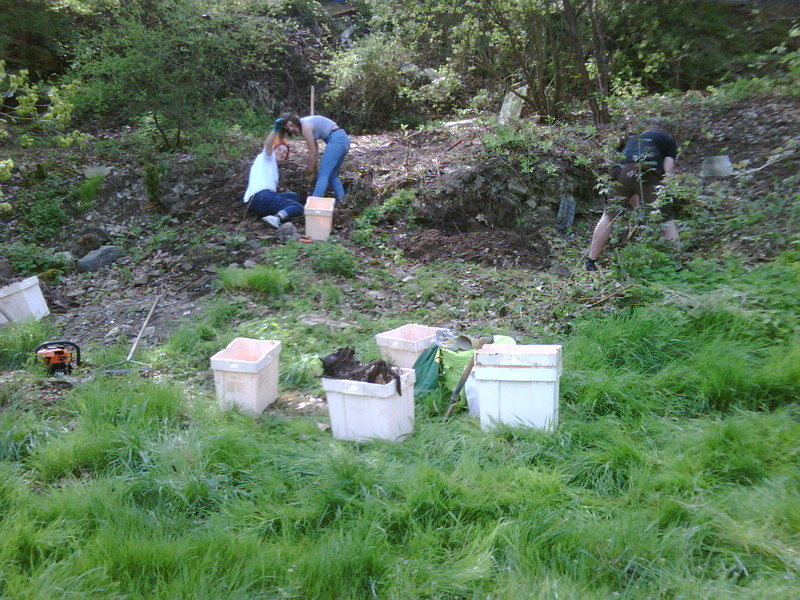 Werner, his daughter and me digging out tons lots of waste as well. Frustrating? No, it was the first real sunny day of the year and the Eifel is one of nicest place to be. Even if you are digging in the mud. I renounced the try of an explanantion…..
Lena and Nicole found something! Do you recognize it? Right, it´s 211 837 206, the Samba´s passenger side outer door handle! Werner and me were not so lucky! 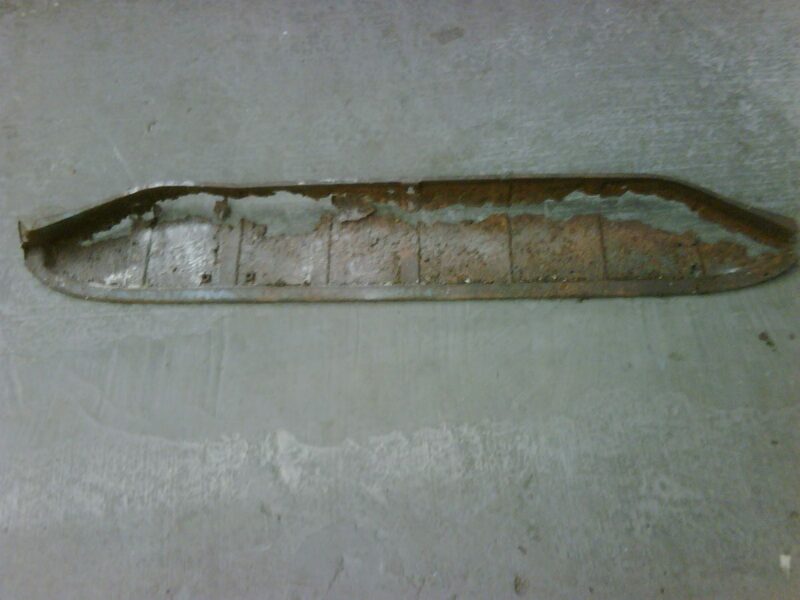 Whatever this is piece of metal might be, it doesn´t belong to the Samba. At the end of the day we filled nine of these plastic boxes full up with parts that could have something to do with the Samba! At least we found around 50 springs of the Samba´s seats plus some rotten seat frames. Enough for today! But we have to come back! There is still so much to discover. Why? Just see some examples of what we found in details…. Just some shards? 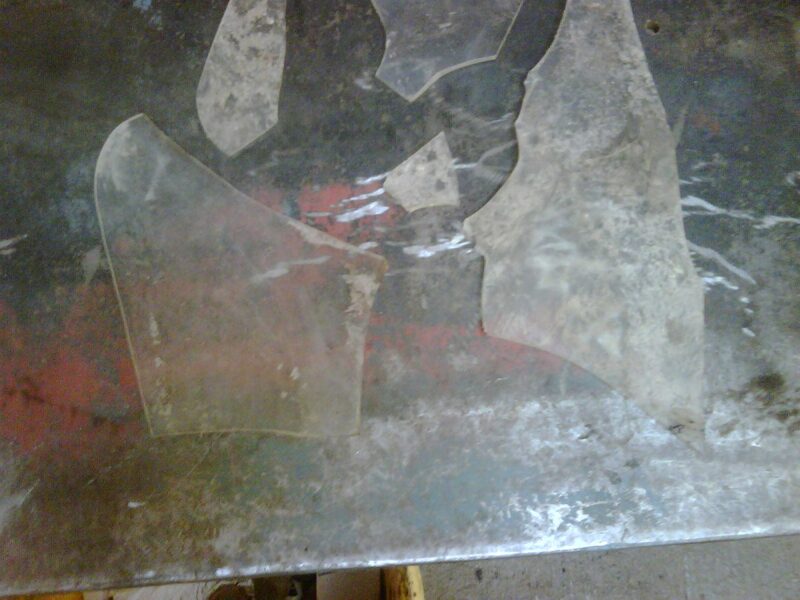 Yeah, but shards of the only Plexiglas window missing! I need all this shards, so I have to go back in the Eifel! Mad? Kind of…. 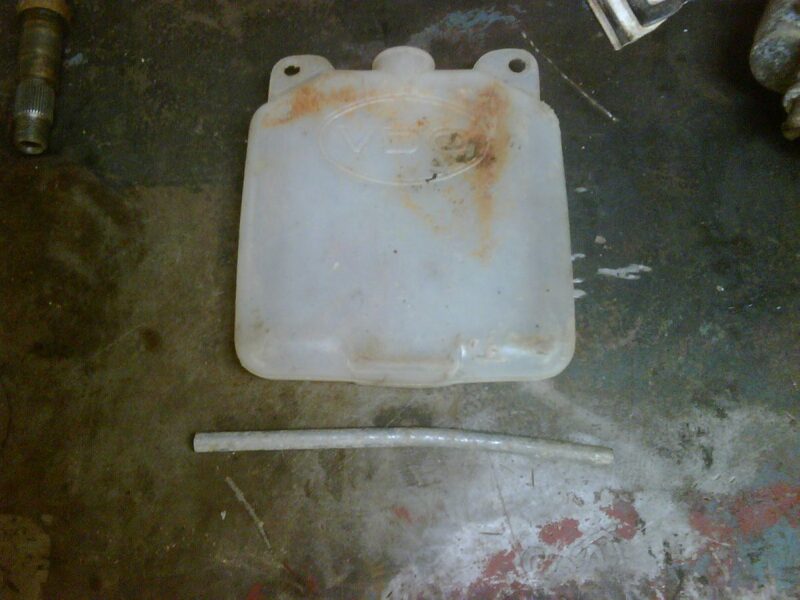 A water bag of a vintage VDO accessory windscreen washing kit! A nice find, isn´t it? But even more interesting is the little aluminum tube below. It´s a piece of the Samba´s rear luggage jail bar rails! A car color can! Produced in my hometown Bonn at the “Bonaval” color factory. 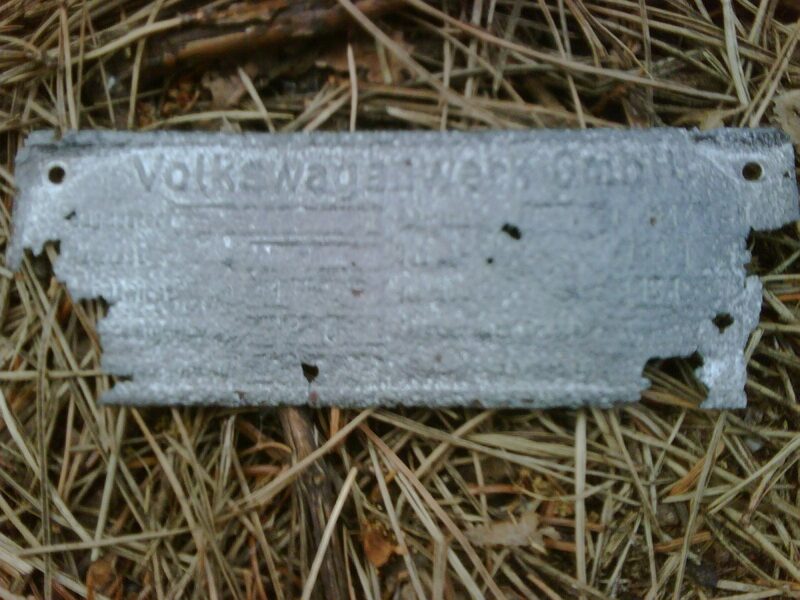 This company disappeared from the market in 1968…..
A parcel tray under the VW kombi´s dashboard. But it does not belong to the Samba, cause it´s surely after 1955 and there is no way of fitting this into a Barndoor. So why did it lay in the mud where the Samba stuck? Strange! A Solex 28 PCI! Also this does not belong to the Samba. First it is not original, because it showed up in January 1954 and second as you can see in the pictures above there was the original carb with the Samba when it was found. 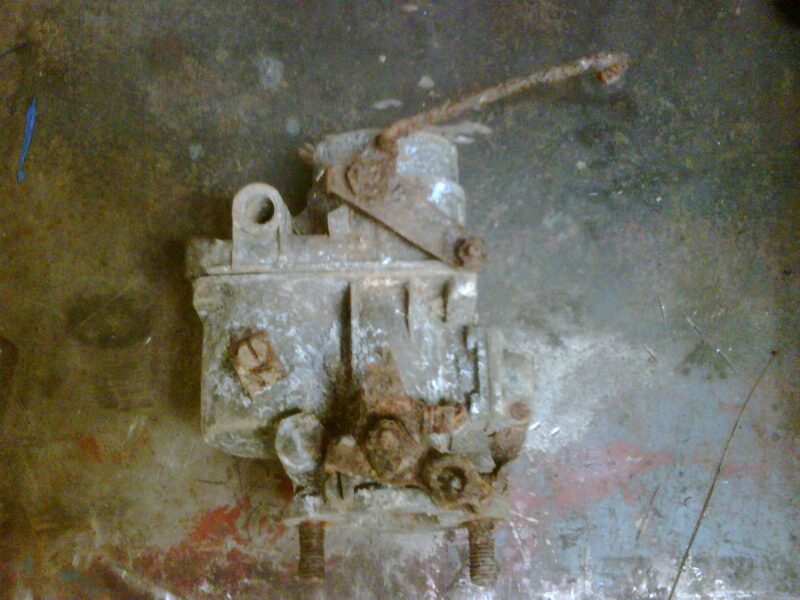 So, to which car belongs this carb? Now it starts to get serious! 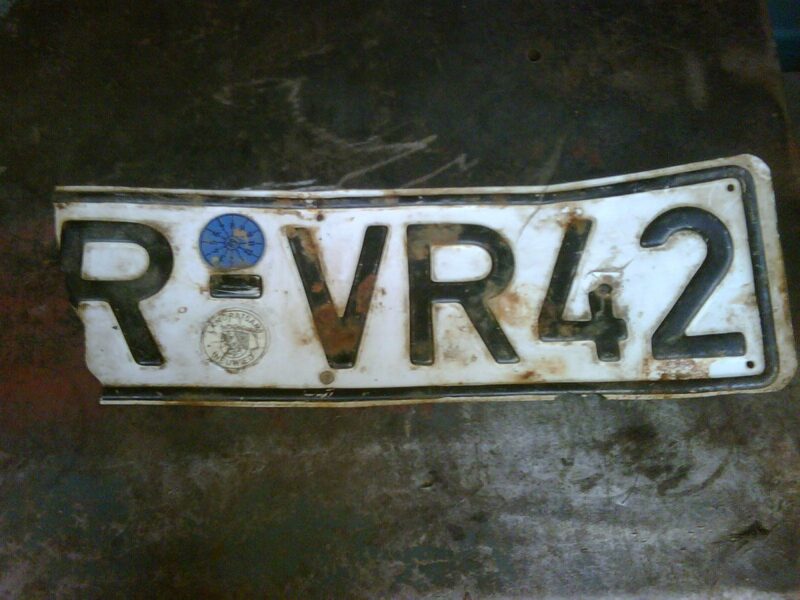 This license plate shows a TÜV-sticker dated in August 1968! And there is still the district sticker of “Neuwied”-county untouched in place, so the car which belongs to this plate here was never officially delicensed. It was most likely stolen! And remember, this license plate does not belong to the Samba neither as the Samba had its rear license plate still mounted on its decklid. There might be a second bus buried here! Do you see? The Eifel is always worth a journey. We´ll be back again soon, but first we have to face another adventure: the big Barndoor Gathering on May 19th! Didn´t I promise to bring the Samba´s chassis rolling on its wheels to this meeting? Ouuups, hurry up Florian, there is still a lot of homework to do if you don´t want to embarrass yourself in Amersfoort. Is there somebody out there who can help me with the two shifter rods for a pre ´59 Bus? I accept rusty ones too! Have a good start into your week! 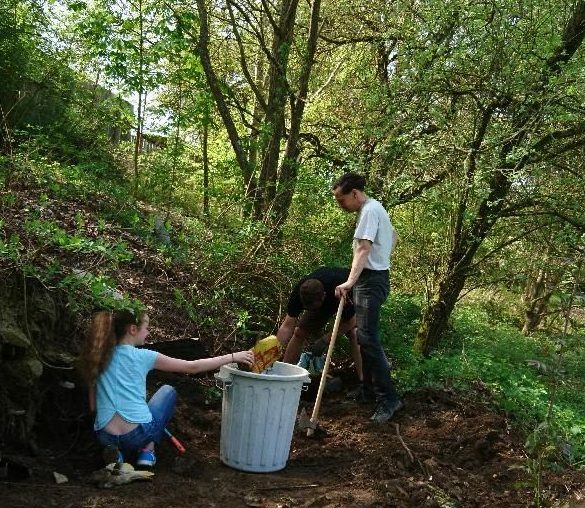 These photos really show the scope of this project. You and your friends are true examples historians! Nobody will ever tell me it (anything) cannot be saved!! Thank you for your work and posting all this great history!